The winning idea is for Clean Living, a social enterprise employing cleaners in the City of London for the London Living Wage of £8.80 per hour. Profits secured by the business will then be re-invested in personal development for those employed. This could include English language classes and the teaching of basic literacy and numeracy skills. 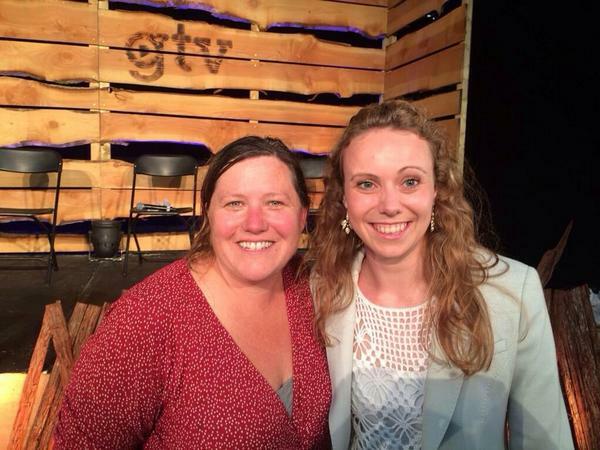 she wins the prize of attending the cms pioneer missional entrepreneurship week at pickwell manor in devon, where she will be able to work up the idea. here she is (on the right) with shannon hopkins who leads the week and who was chief dragon!